Wilma Steele and Don Blankenship went to high school together in Matewan, West Virginia. Blankenship went on to become the CEO of Massey Energy. Blankenship spent a year in jail for conspiracy to violate the national mine safety laws in connection the deaths of 29 miners at the Upper Big Branch mine explosion in 2010. 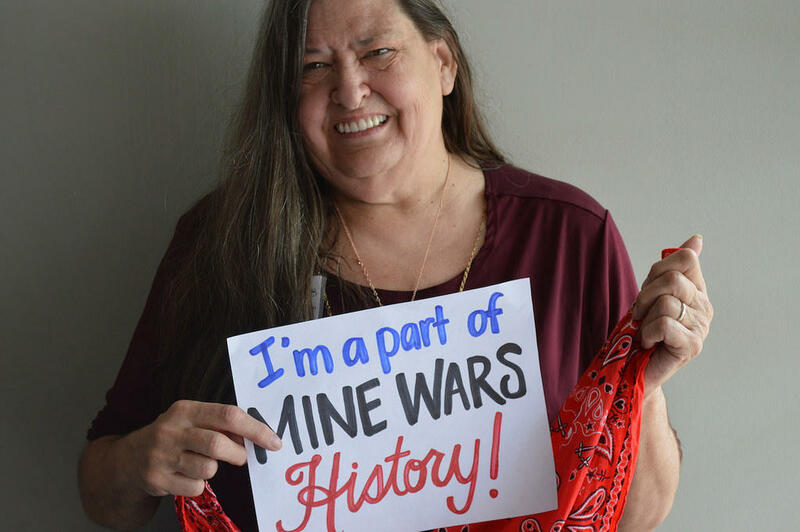 Steele went on to be a school teacher and founder of the West Virginia Mine Wars Museum in Matewan, West Virginia. The museum includes exhibits about coal camp life, the Paint Creek-Cabin Creek Strike of 1912-1913, the Matewan Massacre, the Miners’ March, and the Battle of Blair Mountain. Whose idea was it to start a West Virginia Mine Wars Museum? What happened at Blair Mountain? The killing of Chambers and Hatfield triggered the mobilization of what was called the redneck army. Why was it called that? How many miners joined the redneck army? There was a battle at Blair Mountain between the coal company security guards and the redneck army. How many people were killed? The US Army was called in and they crushed the resistance. Don Blankenship is running for U.S. Senate. Do you know Blankenship? He has advertising in his campaign saying that the 29 miner deaths at Upper Big Branch are not his fault. If you were to poll Mingo County, does he win Mingo County? State Senator Richard Ojeda comes from the same coal fields. And yet he has diametrically opposed politics. He’s running for Congress – for the House of Representatives. Both are popular in the coal fields. How do you explain the difference between Ojeda and Blankenship?